Through the experience gained in scrutinising our extensive mine water monitoring and treatment portfolio, which includes surface water and seawater analysis, we are expertly placed to meet your water monitoring needs. Our team has extensive experience in designing and delivering dynamic monitoring programmes, in addition to collating and interpreting the results of a field monitoring programme. In contrast to other types of water, mine waters often have high concentrations of iron. 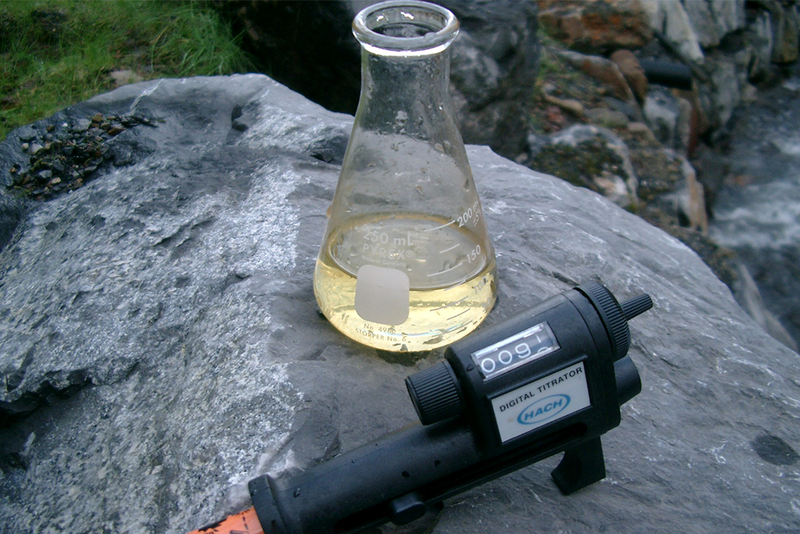 This can cause problems if samples are not acidified in the field, as iron oxy-hydroxides can precipitate during transit, resulting in the sample being compromised. When appropriate, our water samples are routinely acidified in the field to reduce iron precipitation and aid sample preservation. Our services are not just limited to water monitoring and we are able to provide programmes for sediment sampling, for example metal mine spoil tips and ochre characterisation.